Whilst magazines are no longer being plucked from the shelves of Britain’s newsagents at quite the same rate as they used to, digital newsstand Readly has reported an 80 per cent increase in consumption from its subscribers over the last 12 months. Readly reports that its subscribers spent a total of 22 million hours buried in digital magazines, averaging at seven hours a month per person. 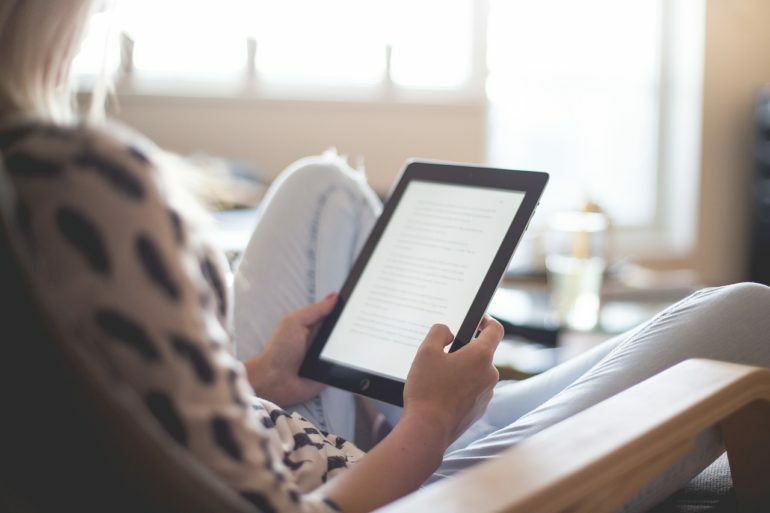 Most of its readers would spend around 22 minutes per session in locations including in bed, on the sofa, in the garden or even in the bath at home. Readers also found digital magazines convenient for travel, with public transport, holidays, cafes and the office popular places to browse publications. Most used Readly to help them relax as well as to be informed, educated and inspired as well as a way to relieve boredom. The service provided by Readly allows subscribers to access hundreds of publications on an ‘all-you-can-read’ basis, and when it comes to the most popular publications, it’s clear that women’s publications dominate the top ten. Celebrity gossip titles HELLO! and OK! head the list, with Heat and Closer also hugely popular, ahead of traditional reads such as Woman and Woman’s Own. Only one predominantly male title makes the top ten; weekly automotive publication Autocar drops in at number five. Readly’s research also shows that most readers have a core read of trusted titles, many are willing to try new content. In addition, eight per cent of magazines read by British subscribers are foreign titles. Ranj Begley, Chief Content Officer at Readly said: “The digitalization of magazines is allowing more people to read curated content whenever they choose. Many people have had enough of the ‘fake news’ offered through social media channels and are seeking editorially balanced, trusted content which may explain the increase in digital magazine consumption. Readly’s annual digital magazine reading report focuses on its three largest markets: Sweden, Germany and the United Kingdom. The UK is ranked 3rd globally in terms of digital magazine consumption and has the highest number of magazines available at 1009 titles. Germany is the biggest market in terms of consumption with almost 23 million digital magazines read last year. In Sweden 19 million digital magazines were read, which is an increase of 33 percent from the previous year (2016). Flights Without Gadgets – Enjoy a Good Read!